Cutting overheads is an essential part of doing business. It’s a necessary evil, and sometimes the cost of staying in business is losing staff or keeping a tighter control over petty expenses or executive perks. But, most businesses would agree there is one area where cutbacks can have a very detrimental effect – daily office cleaning and hygiene services. It goes without saying that if your current contract cleaning company isn’t providing a cost effective service, you should shop around to find a better supplier. 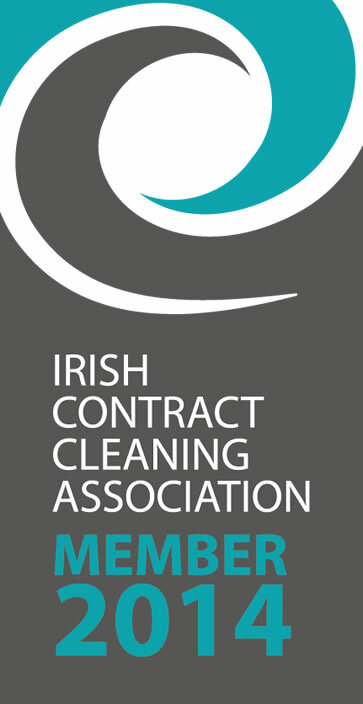 There are numerous companies within Ireland who are able to offer professional, reliable cleaners throughout the country through a network of cleaning staff. There is no reason why businesses should accept a sloppy service from any cleaning company when there is so much choice available. Running & maintaining a successful business? Running and maintaining a successful business is difficult, particularly in the current harsh economic climate. But, most successful executives and managers would agree that positive word of mouth referrals from happy customers is an essential marketing tool. When customers do business with you, their first impression of your company rests on so many different factors – the knowledge and helpfulness of your staff, the price of your products, the strength of your after-sales service and so on. But, many recent studies have also shown that the cleanliness of your premises is also an important factor in how the customer perceives your business. And, if they perceive your premises as unclean or lacking hygiene & janitorial facilities, they will be less inclined to recommend you to friends and family. In fact, not only will customers refrain from giving you a positive recommendation, they will very often comment strongly on the lack of cleanliness rather than remain neutral and make no comment at all. With the advent of social media, many businesses have gone under due to negative comments from customers which have been shared with Facebook “friends” and Twitter “followers”. So, it’s more important than ever to focus closely on this aspect of your business as it doesn’t require huge investment to get right. Cleaning around any window blinds where dust often gathers. 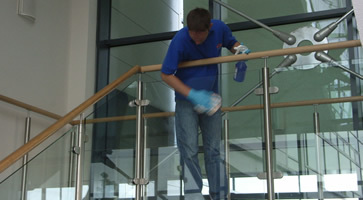 Eradicating germs and dirt from door handles and panels to eradicate germs. Carefully cleaning computer keyboards, mice and printers are notoriously bad for collecting dust and germs (though your cleaners need to use appropriate cleaning materials and take extra care not to damage any sensitive electrical parts). Outsourcing the cleaning of an office or business premise to a reliable, professional contract cleaning company is one way of ensuring these specialist cleaning tasks are done effectively. With our network of office and contract cleaners throughout Dublin and the rest of Ireland, we’d be delighted to discuss the ways our cleaners can help your employees stay healthy and, just as importantly, ensure your customers retain a positive impression of your premises and workplace so they continue to do business with you. Is Your Office a Breeding Ground for Germs? Director of OfficeClean.ie, a Dublin cleaning services company covering the whole of Ireland via a network of professionally trained cleaners. Notoriously picky about maintaining high professional standards and delivering top customer service.